This is a distro i have made for fun with Raspbian Jessie under Raspberry Pi 3 B, it's similar a mac os 7.5 Theme und run various emulators. I'm curious and excited: does this loads and immediately launches Mac OS? I have a project with a small mac and want to run mac os 7 or 9 from Raspi 2, but the closest thing i got is RetroPi and needs to run, select the mac emulator and start it. 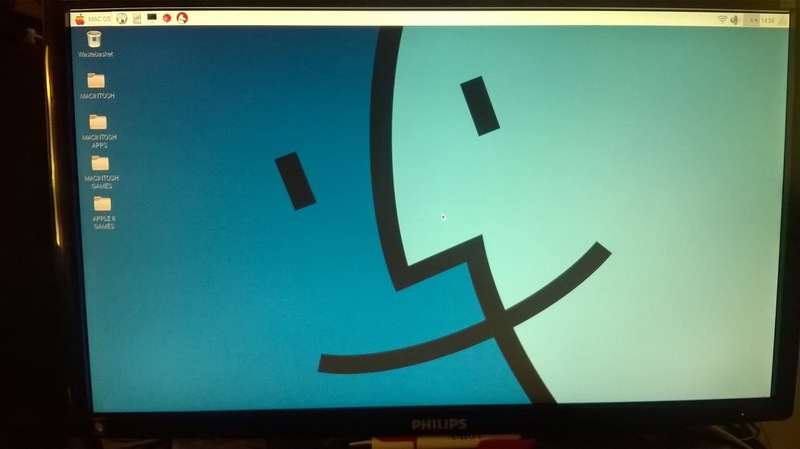 I would like something that shows a mac icon while booting, and boots directly to Mac OS. Javster it's possible to do it, you have only to program it to boot at startup. Thanks after looking at your photos realized it as a mod. Thanks a lot for the links, will try to mod Retropie to load directly the emulator, but my terminal abilities are really limited. Will report back. Yes it's a Raspbian distribution modification with inside the Macintosh emulator.